Peggy Lee was at her most beautiful when she sang. 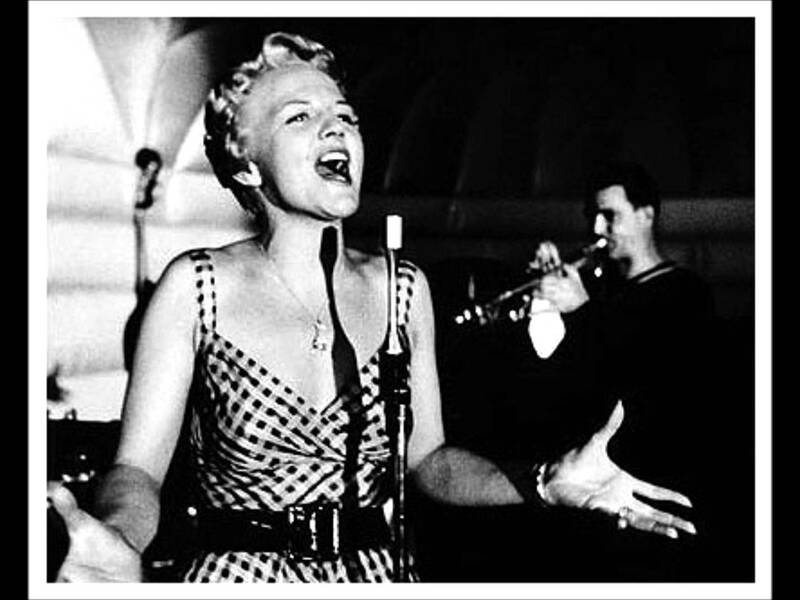 When chanteuse-poet-businesswoman Peggy Lee was still just little Norma Delores Egstrom from Nowhere, North Dakota, she carried around a piece of paper on which she’d written: “Whatever you vividly imagine, ardently desire, sincerely believe, and enthusiastically act upon . . . must inevitably come to pass.” She was maybe all of ten years old at the time. I’m much older, but that is also what I am doing: vividly imagining, ardently desiring, sincerely believing, and enthusiastically acting on my dream of being a successful published author of many bestselling novels. This summer, while on break from my job as a music and language teacher, I’m throwing myself more into writing than ever, and I’m educating myself on how to break into the publishing world. In between bouts of plotting and writing novels and short stories, I’m “attending” Google University in earnest, blogging, tweeting, and happily connecting with other aspiring writers. I also purchased a Duotrope subscription to more easily find markets and track short story submissions, and I’ve been researching literary agents. When I feel defeated, frustrated, worried, nervous, or especially when I compare myself unfavorably with great writers, I tell myself that there are all kinds of books, all kinds of writing, all kinds of writers, and I’m writing, writing, writing to improve and move myself forward. Since starting summer break in late July, I’m proud to report that I’ve gotten a lot done. I wasn’t sure if I should include all this navel-gazing in my blog, but here goes. Completed fourth draft of YA fantasy novel and sent to freelance editor for developmental editing suggestions. This was big, people; SO many hours went into completing that fourth draft. Half finished researching and plotting new YA time travel novel, Firefly. 4,000 words written. Super excited to write this because it’s my first time travel story, but I’m nervous because I think it’s going to take me to some emotionally dark places (but in a good way?). Recently submitted two short stories, Tilly of Lurra and The Girl I Choose to Write About, to print publications. I started with the most prestigious literary magazines, where competition is the stiffest, so I’ll let you know if I hear anything back. Researched numerous literary agents, narrowing down to top 20, including three dream agents. Thanks to shark/agent Janet Reid’s blog, I tried my hand at a couple of flash fiction pieces, one of which got an honorable mention in her blog. Completed rough draft of a new short story, tentatively titled August Days, for eventual submission to “On the Premises” contest. Outlined a new short story, We Were Vaudeville, to be submitted to Brilliant Flash Fiction Magazine. Coming up: three short stories I wrote during last school year, Thorns, Hi-Fi in Eastern Kentucky, and 17 You-Me Reality Planes, will need a couple more revisions (and probably new titles – I’m titling impaired, unfortunately) before they’re ready to ship out to short story markets. If you’ve read this far, thank you! I really appreciate being able to share my progress with you. I too am working hard this year to find an agent and have more work published. I love the Peggy Lee quote as I am a believer of creative visualization. I will definitely be reading your blog now. Wishing you the best!! Hi, Pakegowin! I look forward to seeing you around. Best of luck on your writing endeavors. Thanks for stopping by. I appreciate the encouraging words about my writing. You’ve got a lot of talent, too, my new writing friend. Navel-gazing? Pfft! You should be proud of all of that hard work and completely unashamed to share it–that’s amazing! I am hoping to finish a first draft of a historic novel by years end. I think if I had HALF your energy, it would be a sure thing. Good luck with your many efforts. Sounds like they are sure to bring results! Previous Previous post: Writer, How Do You Reward Yourself? Next Next post: Rejection Letters – Save them or Trash Them?